The energies of September always bring job changes, as the new universal energies come in. It's been one year since 9/11 and we are in a recession, finding a job, especially if you lack education and experience, is not easy, and will remain as such for years. If you are seeking a job or career change, be sure your résumé is in order. Try not to embellish too much, references are often checked. While interviewing, sit quietly and LISTEN, interject thoughts when asked. Sell yourself, but don't be pushy or overly aggressive. If the job is yours, you will know soon enough. If the person you are speaking to hesitates and delays follow after the interview, the job is not yours. Positive results to the interview should come within the next few days. If you don't get the job, look somewhere else. Don't get into a frustrated ego space. Your soul already knows its next move. Some people are lucky enough to have a chosen career, no matter what it is, especially in the fields of health and education. Sadly, others spend a lifetime on a quest to find out who they are and what career best suits them, in doing so moving from career to career and often location to location. Some souls are challenged, emotionally unable to take care of themselves. They have addictive personality disorders, psychological problems, chemical imbalances, often blaming the world for their failures. Not everyone has a chosen career. Some souls are here are caretakers for other family members and never leave home. If you are forever seeking your career, you could also attract by synchronicity, a financial caretaker, such as a family member or lover. Always remember that your caretaker may not be able to care for you forever. Searching for a job during Mercury Retrograde can be frustrating. There will be delays in closing business deals. 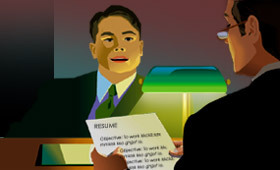 Interviews should result in you being called back for another interview, or the original one delayed. If hired during the retrograde period, you will eventually change jobs. This does not mean the job will be a disaster. It may be a stepping stone to something better. If waiting for to find out if the jobs is yours, check your voice mail and email as you might miss a message.